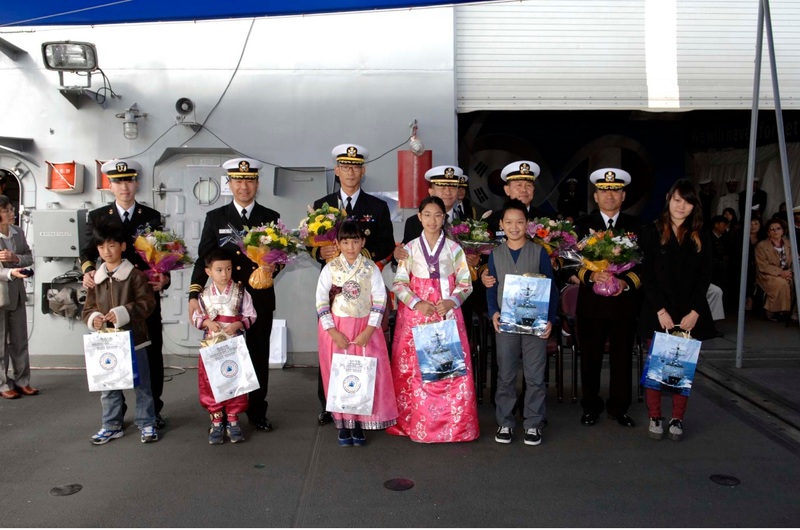 Republic of Korea Navy(ROKN) Cruise Training Task Group(CTTG) of 2013(Commander: RDML Jang Soo-hong) set sail from Oslo, Norway and made its eleventh port call to Montreal, Canada on Sunday, the 13th of October. 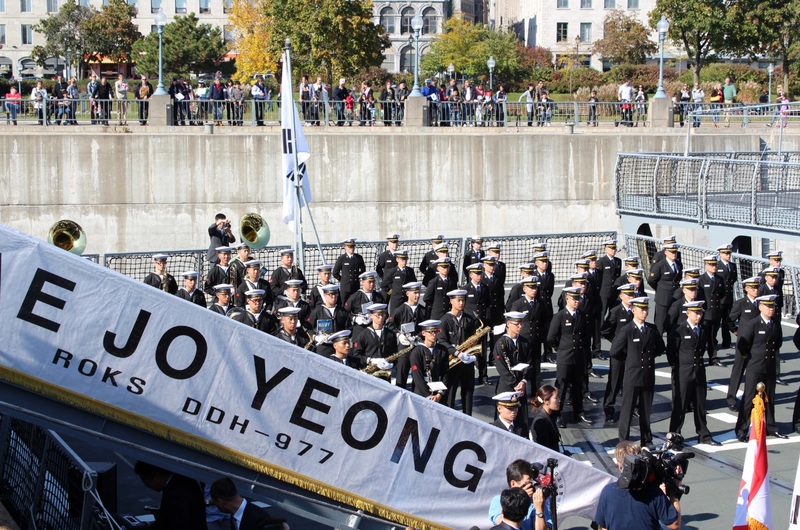 DAE JO YEONG and HWA CHEON, a destroyer and an auxiliary ship with respective displacements of 5,500 tons and 9,170 tons are participating in this year’s CTTG with approximately 620 personnel on board, including 140 midshipmen(class of 2014). Cruise Training is an on-board, on-the-job training exercise that aims to provide essential military knowledge and familiarity to future naval officers. Cruise Training first began in 1954, which marks this year her 60th anniversary. Ports in India, Turkey, UK, and other countries, a total of 15 ports in 14 nations, are to be visited during her 137-day, 31,000NM(57,400km) voyage around the world. This year’s port visit to Canada is 11th visit in CTTG history since the first visit to Vancouver in 1976. 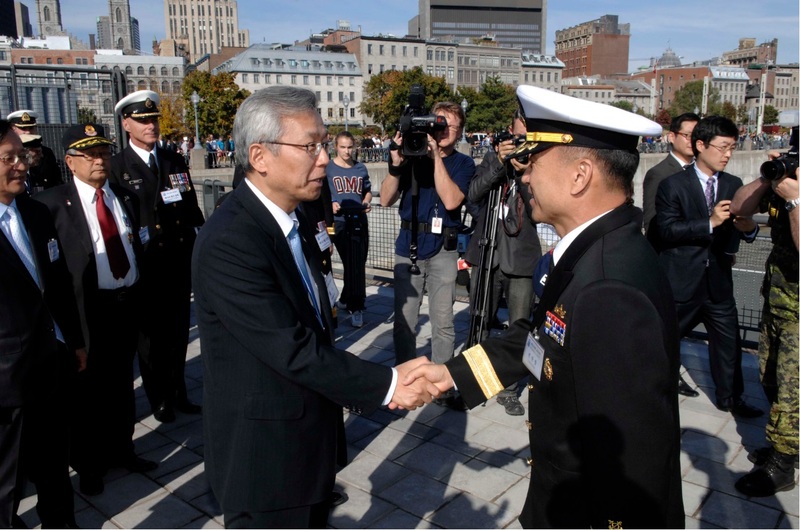 On Sunday the 13th, CTTG will proceed with their welcoming ceremony under the warm welcome of the Korean Embassy, U.S. citizens, and fellow Korean compatriots in Montreal. 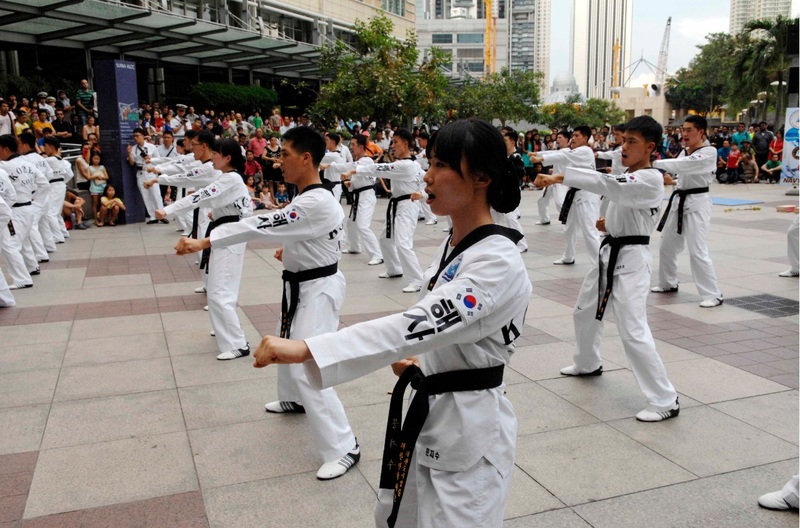 CTTG will host a requital event for Korean War war veterans in celebration of the 60th anniversary of the Korean War. 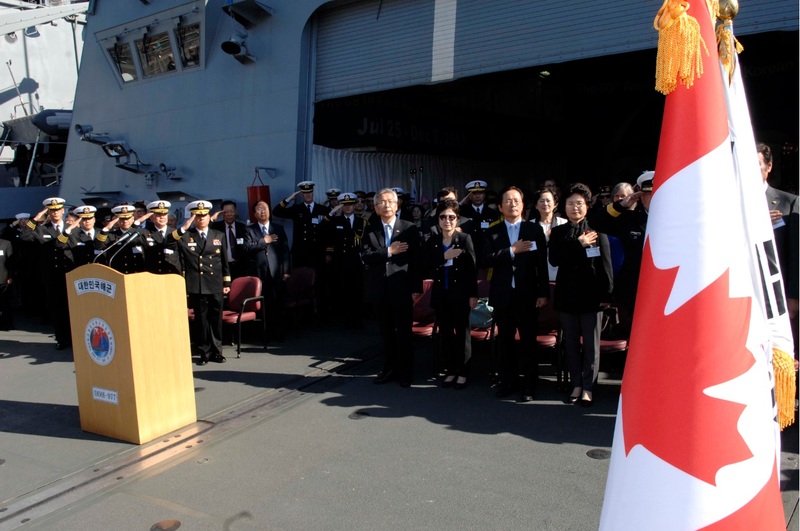 The veterans will be able to enjoy various cultural performances and witness how the country for which they fought for had undergone miraculous developments while the midshipmen will be able to hear the heroic tales of these brave war veterans. Further, on Monday the 14th, CTTG will pay tribute to the Korean War Monument and march down to the Korean club. 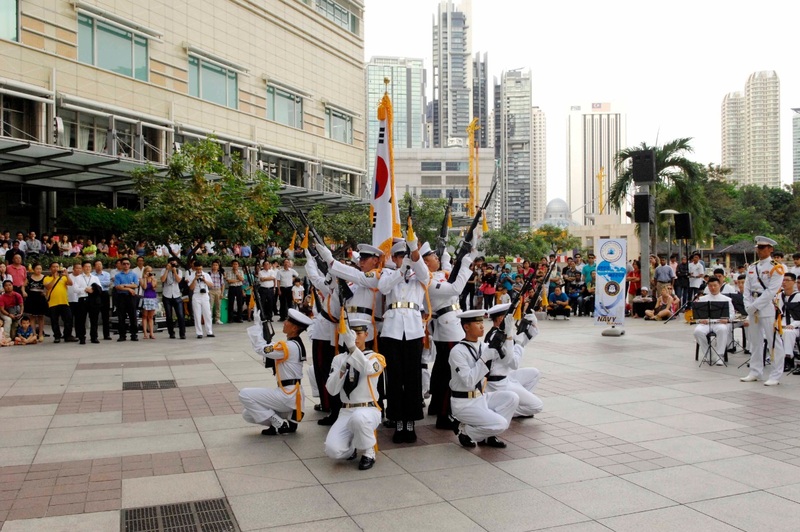 On the following afternoon, CTTG will present cultural performances, demonstrating Navy Band, Samulnori, Honor Guard, and Taekwondo performances. Further, the CTTG will provide ship tours to U.S. citizens and fellow compatriots. 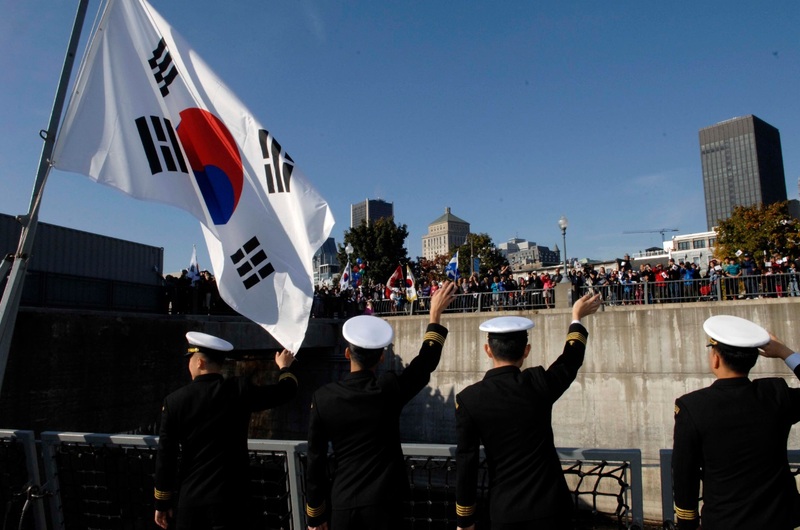 A photo exhibition, “The Miraculous Development of Korea,” and a defence industry exhibition on-board ROKS HWA CHEON will promote Korea’s defense industry products as well as her proud development of rising up from a aid-receiving nation to a aid-giving nation. 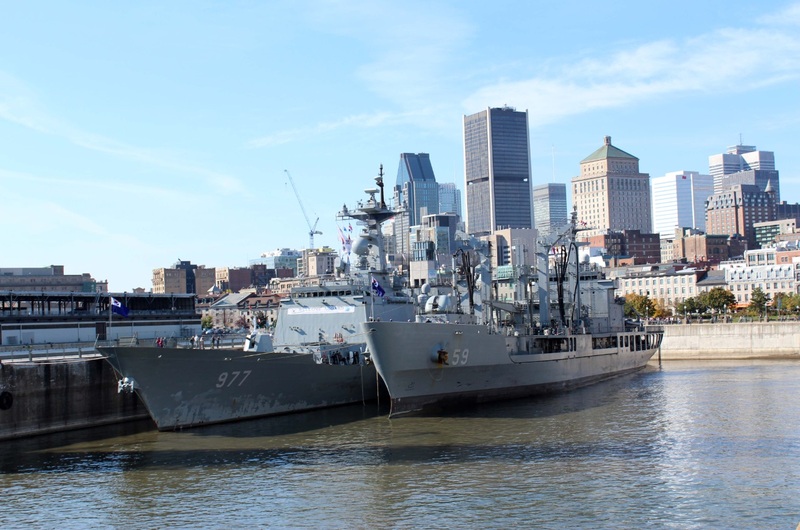 Republic of Korea Navy Cruise Training Task Group will conclude its four day visit to Montreal on Wednesday the 16th and set sail to its twelfth port visit in Baltimore, United States. Un bel accueil ensoleillé et enthousiaste pour les navires sud-coréens!